Excellent in Performance and Amazing in style. 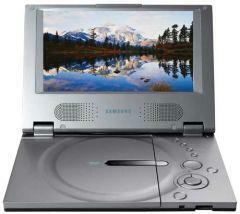 This is all we can say about the new line of DVD players introduced by Samsung during this year’s CES. This includes DVD-L765 and 7″ DVD-L760 which claims to have high end technology along with being lightweight, portable and stylish. These DVD Players offers a display of 480p resolution, 160 degree viewing angle and 5.1 channels Virtual Surround Sound which allows you to thoroughly enjoy your favorite movies while you are on the move. Above all it has got remarkable battery back up which ensures your entertainment for more than 6 hours. Both, DVD-L765 and 7″ DVD-L760 comes with a car charger and are priced at $299 and $199 respectively. Golf ball suspended in mid-air! Hammock eyeglasses – No more scratched lenses!